I am one of those people who loves National Parks. That is why I've always wanted to see this magnificent lake in Oregon and we finally made it. Picture perfect lake. No doubt about it. You will be amazed when you see this lake. It's a long drive in the wilderness no matter where you'll come from. The drive here was scenic and when you get to the lake you'll forget the long drive that you just did. The lake was still a few miles after the National Park sign there's a ($15/car) entrance fee to enter the park . 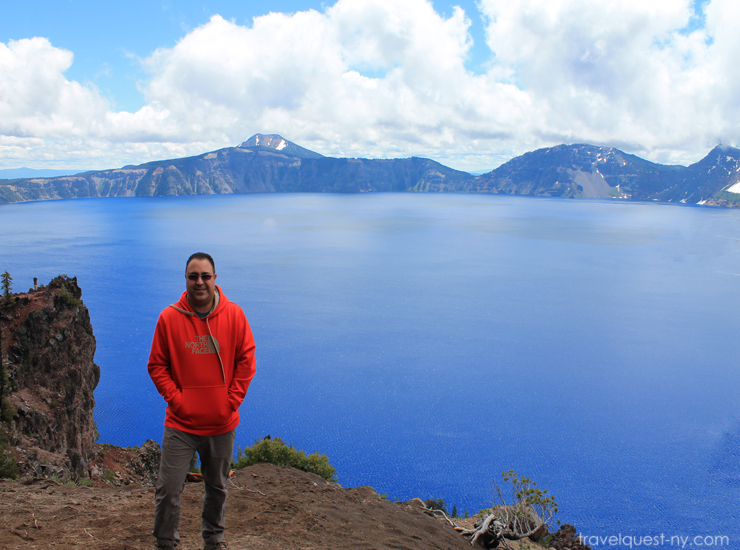 The road trip to Crater Lake is nothing short of spectacular. As we approached the rim, the beauty of the lake literally took my breath away. I gasped because it was as they say, picture perfect. The water was so blue and the surrounding mountains were reflecting off making it all more magical. In late May the ground still has snow and the mountains were snow capped -- it added to the beauty of the lake. If you love photography, this is definitely the place to go. I've seen other lakes formed by a volcano eruption but this was the most beautiful. 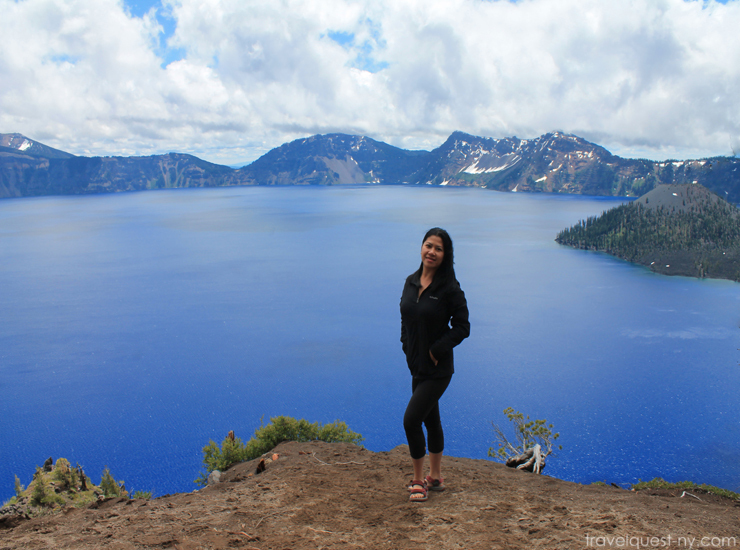 There's so many ways to enjoy Crater Lake. You can walk, hike, boat, drive, tour, bike, camp and watch a video. No matter which activity you choose, you'll be happy as there was really no bad angle to this world wonder. 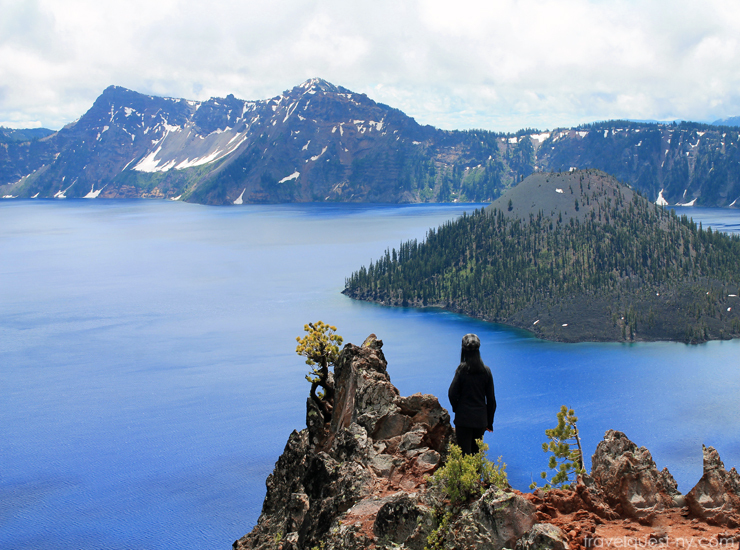 Being the deepest lake in the US and 7th in the whole wide world. The water was the deepest blue and crystal clear over 100 some feet. It's definitely a bucket list item. And also don't forget to take a boat tour at Wizard Island and check out the Sea Lion Caves in Florence. Oregon. 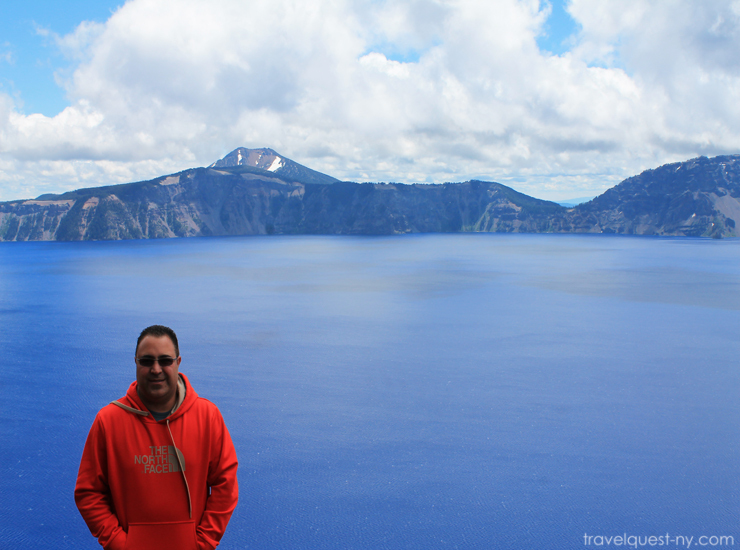 Visiting Crater Lake N.P. was just another reminder of how vast this country is, how different the landscape can be, and how absolutely breathtaking nature is. To think this was a dormant volcano preserved in time just makes me appreciate what Mother Earth has created for us. Hope you enjoy this National Park as much as we did. Feel free to share it and don't forget to follow us for more adventures. Happy travels! Oh, wow, I would definitely like to head here and take photos. We went to Philpott Dam a few weeks ago, and it is somewhere else that I recommend for anyone wanting to take impressive photos. This looks like a place for the bucket list for sure! I love national and state parks too. I find that they are usually the best when it comes to meeting my expectations. That's a beautiful place, and you took some awesome photos! I had never heard about this place but I am adding it to my bucket list. It looks beautiful and a great place for an all adults trip. I can picture myself in a cabin near the lake with some fireplace and hot chocolate. Dreamy. I've seen this place on Ariel America. It looks amazing! I just love that little island in the middle of the lake. If we ever make it to Oregon this is a place I'd love to visit. That looks like a great place to see in person. I have always wanted to go to Oregon! It looks and sounds like such a great place. I have never been to that part of the country, the furthest west I have been is Colorado and that was recently. I need to up my travel game and check this place out! I've never heard of this place before it's breathe taking. Your images are AMAZING! I too love National Parks and this is one place I would definitely add to my bucket list. I have always wanted to visit Oregon! This is so beautiful! I recently went to yellow stone and it was an incredible experience. 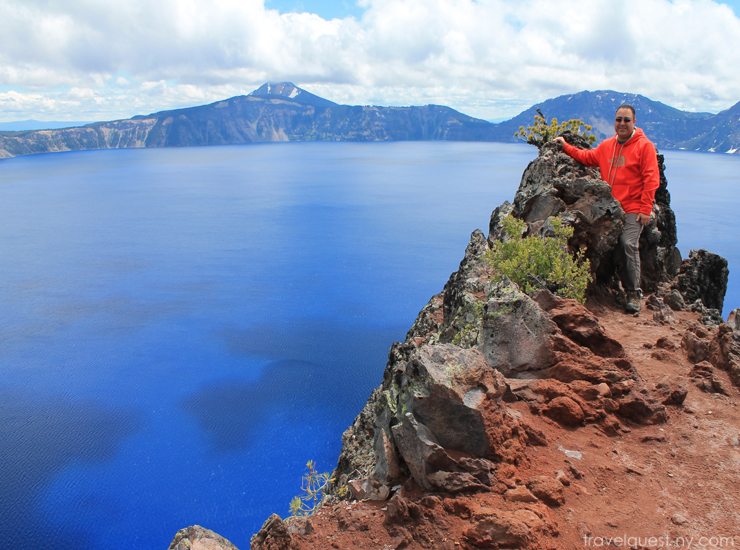 Outdoor travel is one of the most centering types of travel for me ;) Your photos are great! Yellowstone N.P is on top of our list we are planning to make a trip there next spring. 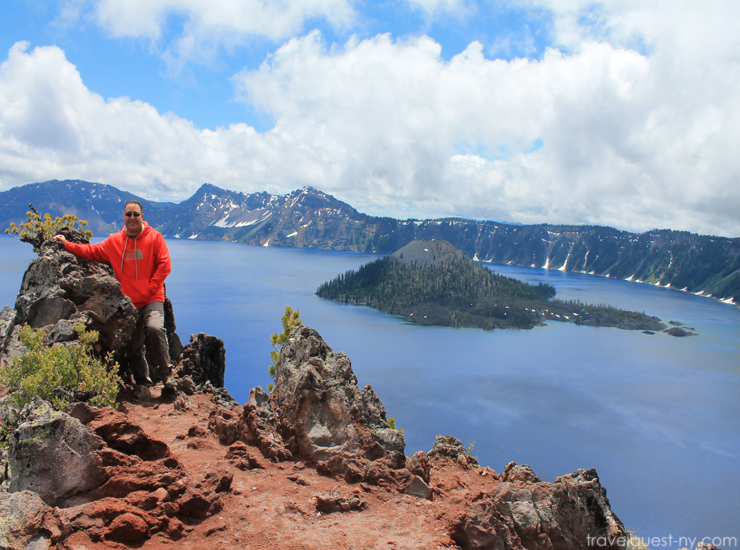 Im glad you like our photos I highly recommend Crater Lake on your next trip. Wow, that view is absolutely majestic! I haven't been to this part of the world yet but for sure, there are tons of amazing national parks out there! I will surely keep this one in mind for the future. I bet you're gonna like it here , I love seeing your photos too from your trips. Talk about breathtaking! What a wonderful place to visit and admire nature's beauty. I would love to see it in person. WHOA! 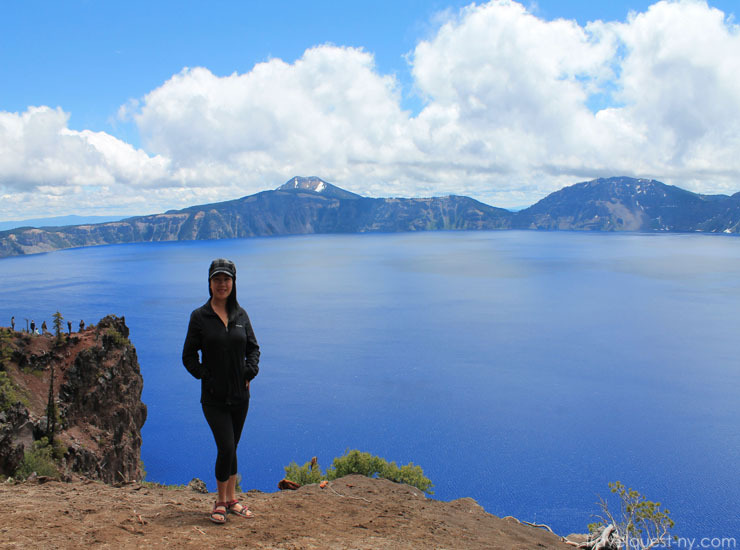 I have heard of Crater Lake but I have never actually seen photos - UNTIL NOW! What a stunning place!!! There are so many beautiful places to see and visit in the United States. It truly is a huge and beautiful country and this lake is just one of so many great places to go and see. I totally agree America is so big and each states has something to offer. We are on our 35 states and counting! Oh wow. I had no idea. Just like when I went to Joshua Tree National Park in September, I had no idea how fabulous the desert was. I have heard how beautiful Joshua National park is. We did a road trip to Grand Canyon years ago and we've seen a few of Joshua Tree along the way. I like desert setting their beauty is different each scenery. Oh wow, what a beautiful place. I need to get here one day. The water is so blue. I need to get to more national parks. My husband and I plan to do a vacation of just National Parks we haven't seen. We've gotten most of the ones in the South covered. Your pictures have made me want to visit even more! Some national Parks has fee to get in one of my favorite is the great Smoky Mountain just because its a free park. Also the Fall Season here is breath taking. Such a beautiful lake. It's almost hard to believe it was created from a volcano eruption. It's practically perfect. Yes and how amazing it is how the water created all because of the snow and rain. The blue and clear water is mind blowing. We love visiting national parks on vacation. This place sounds so amazing. I would love to take a trip here one day with the family! That is one gorgeous lake sis, I love how blue it looks. Super calming just by looking at your photos. Thank you sis glad you like it. This doesn't even look real it's so beautiful! I hope to take more time to visit some of our country's beautiful national parks in the future and want to go there. It so surreal to see it in person and how this beauty preserve through the years. I wish we have plenty of time when we got to visit. it would be nice to stay and camp for day or do hikes on the Island. These photos are so stunning, I can only imagine how amazing the water is in person. 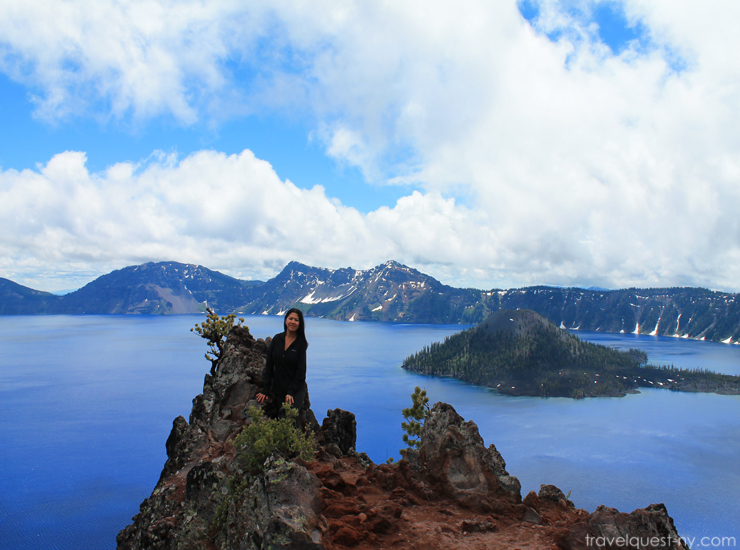 Adding crater lake to my bucket list! Omg these pictures are stunning! I’m def putting this on my list to visit for sure! I couldn't agree more on your statement. Indeed this is a great place for photographers. The place is very picturesque. The photos looks so real. I hope I could visit this this year. This looks almost like it isn't real, especially the island. It is so beautiful and my list of National Parks to visit is getting longer and longer. Same here I have long list of National Parks that we love to visit. Since our full time job kinda limit us on what we can do. We make sure each year we check off one park that we written on our list. By that we don't have to wait till we retired to travel. National park is really fun to visit each state has different views. I hope one day you can visit one of them. What an incredibly beautiful place. I love all of your pictures. WOW! Wow, what an amazing view. These are some great photo shots! I'd love to go there just to see all of these beautiful views. National parks are amazing! It is beautiful place, I would like to visit crater lake national park, that is my bucklist. Looks perfect getaway. I have never been out west, and this would be such a beautiful place to check out. 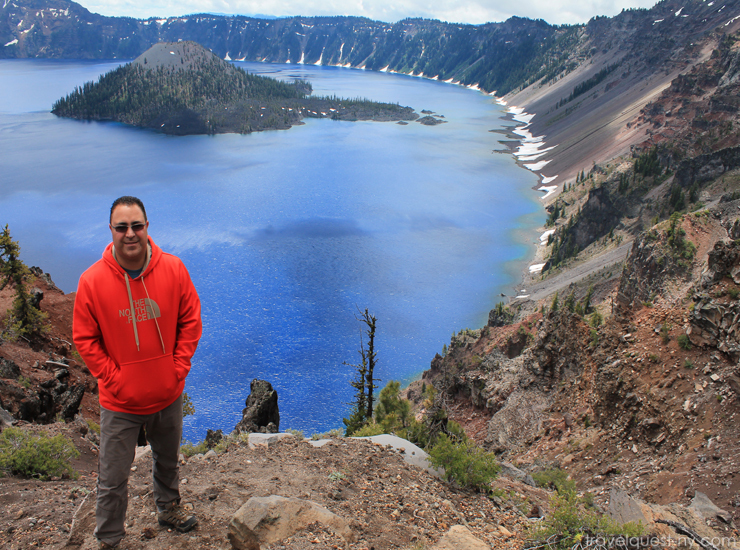 We are visiting Washington next summer and it would be cool to make the trek to Crater Lake.